The Greek Olive Oil is often considered to be the lifeblood of the Greek Cuisine. With its superior quality, fruity aroma and wonderful gutsy flavor, it finds its way into just about every type of Greek dish imaginable. Furthermore, it is stable to 410° F, therefore retaining all of its flavor, nutrients and bouquet during cooking. According to myth, the goddess Athena gave two gifts to the Ancient Greeks. She granted them wisdom, and since wisdom alone cannot sustain life, she created the olive tree. Archaeological studies prove that the Greeks have been involved in a full-scale cultivation of the olive tree and production of olive oil for over 4,000 years. The health and therapeutic benefits of olive oil were first mentioned by Hippocrates, the father of Medicine. Modern medical studies have, indeed, shown that the consumption of olive oil is of significant value where human health is concerned, and in particular the health of the heart and circulatory diseases and many diet related illnesses. The art of pressing the precious oil out of the fruit of the olive tree has been passed on from generation to generation. This enthusiasm, respect and devotion to the cultivation of the olive tree has made Greece today, the world's third largest producer of olive oil. All Greek olive oil is initially extracted by a cold pressing process that uses no chemicals and maintains temperatures under 90°. Most of this pressed product has an acidity level of less than 1%, qualifying it as Extra-Virgin type. 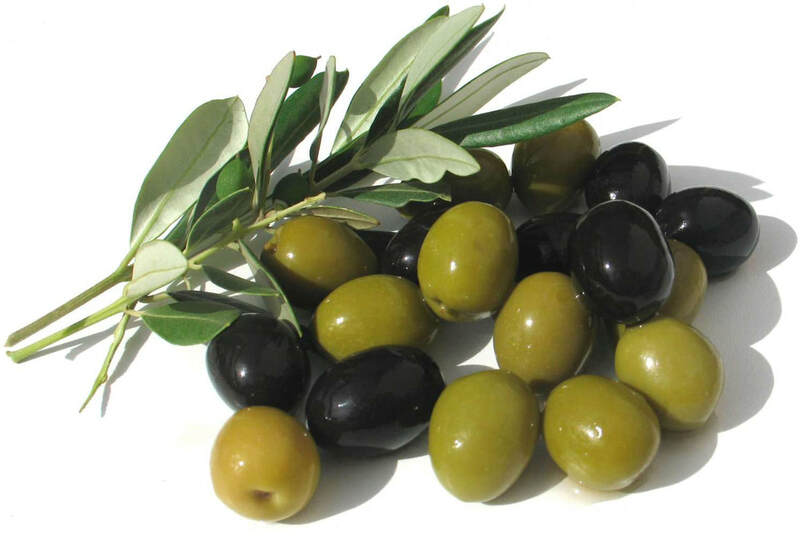 A small percentage of pressed Greek olive oil has an acidity level greater than 2%. This olive oil undergoes a refining process similar to that used in the production of common vegetable oil. Also known as "pure" olive oil, this product has been refined and blended with extra-virgin oil. The Greek product is regulated to contain a minimum of 35% extra-virgin oil. An excellent cooking oil, Greek olive oil pomace is a blend of kernel oil, extracted from the pulp and pit solids, and 5% extra-virgin oil, to enhance flavor and aroma. Greek standards and regulations require that Greek olive oil pomace be 100% olive oil, with no other vegetable oil additives. Extra-virgin olive oil is much like wine. Selecting a good olive oil is a task mostly relegated to the senses. Aroma and flavor are the best indicators of high quality oil. ​Olive oil should have a clean, fresh olive scent. It should not overpower the senses. A high quality extra-virgin olive oil will have a pleasant balance of aromas, light and pleasing to the nose, with a hint of the fresh fruit. As with wine, true experts will be able to evaluate the oil's quality simply by its aroma. Like the aroma, the taste of an olive oil should be fresh - not too heavy, nor too bland. The taste of a good olive oil will linger, creating a wonderful "finish" which will mingle with the natural flavors of food. An extra-virgin olive oil will have more body than an oil which has been refined. Because of the earlier harvest, Greek olive oil will be light, delicate and bursting with a sunny flavor. Climate, soil, olive variety, and the handling of the olives during harvesting and production will all influence an olive oil's quality and character. The International Olive Oil Council has established classifications for olive oil. Worldwide, packaged olive oil is labeled "extra-virgin" or "olive oil" (pure or pomace). Since no treatment other than washing, pressing, centrifugation and decanting or filtration is allowed, extra-virgin olive oil is produced in much smaller quantities. In Greece, however, more than 80% of the entire production is considered to be extra-virgin. Greece and its many islands are rich with traditional and regional culinary dishes that go far beyond the standard fare of moussaka and spinach pie. To gather these special recipes and the culture that surrounds them, Diane Kochilas spent over 15 years living and traveling in Greece. From home cooks and professional chefs she coaxed a wonderful array of authentic recipes to augment her own creations.